The Nail Junkie: HOLIDAY 2013 POLISH COLLECTION: Release and Giveaway! HOLIDAY 2013 POLISH COLLECTION: Release and Giveaway! An iridescent white shimmer polish. Swatches are two coats, with one layer of topcoat. A deep emerald shimmer polish loaded with gold, red and green micro glitter. Polish can be worn alone as a matte texture polish or bring the glitter to life with topcoat. Two coats of Holly on a clear swatch spoon. No topcoat! A bright gold shimmer polish. Two layers of Gold Bell Polish. No topcoat. An angelic micro flaky topcoat. Angel polish is 5 different shades of clear color-shift micro flakies in a clear base. They are very small and lay super smooth on the nail. Here is one coat of Angel polish layered over white, black, red and green. Two coats of Angel on a clear swatch spoon. No topcoat. A fun "nail art" topcoat with large Christmas tree shaped glitters suspended in a clear base with just a dusting of gold, green and gold micro glitters. Two coats of tree on a clear swatch spoon. No topcoat. A fun "nail art" topcoat with large snowflake shaped glitters suspended in a clear base with just a dusting of white iridescent holo micro glitters. WARNING: LARGE GLITTERS ARE NOT FOR EVERYONE! Swatches are Snowball polish layered over blue, black red and green polish. Two coats of Snowball polish on a clear swatch spoon. No topcoat. A red crelly finish polish loaded with green, gold and red micro glitter. Polish can be worn alone as a matte texture polish or bring the glitter to life with topcoat. Swatches are two coats with one coat fast dry topcoat. Two coats of Poinsettia on a clear swatch spoon, no topcoat. My polishes are $10 each and include FREE SHIPPING AND A COMPLIMENTARY GIFT! International orders ship for a low flat rate based on your region, this means: buy all the polishes you like, pay only one low fee to ship. Custom printed labels are available for all polishes and are listed in my shop. Add names, pictures or whatever you'd like for only $2 per bottle. All orders ship via USPS! SPECIAL RUSHED HOLIDAY SHIPPING! ALL ORDERS SHIP WITHIN 24 HOURS! All of my ingredients are 3 Free and Cruelty Free and I use only stainless steel mixing balls. I stand behind my products 100%. If for any reason you are not satisfied with your purchase or have questions and concerns, please contact me immediately. 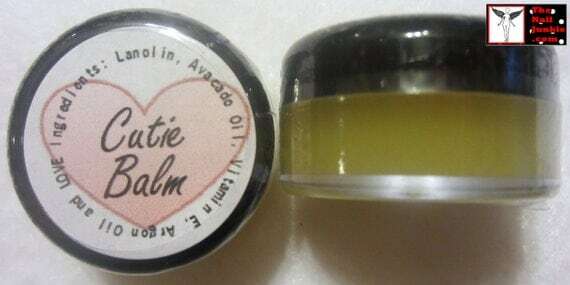 Also, as always, if you order 2 or more bottles of my polish you will receive a 5 gram jar of my very own hypoallergenic, fragrance free, ultra healing "Cutie Cuticle Balm". Due to rave reviews this product is also sold on it's own in both a 5g and larger 10g jar. Please visit my STORE FEEDBACK and my REVIEW/SWATCH BOARD for more info on what other people think of my polishes. To celebrate this release I'm going to give everyone a chance to win 2 colors of your choice from my shop. This giveaway is open internationally and ends 12/31/13. To enter, simply fill out as many or as few of the entries in the Rafflecoptor form below. A winner will be chosen at random and I will contact them via email. Remember folks, sharing is caring! I appreciate every follower I have. I read every comment. I am so thankful for all the wonderful support I have been given.